CoinsTax, LLC, the owner of BitcoinTaxes (https://bitcoin.tax/) have announced that it has teamed up with TurboTax Online® from Intuit®. BitcoinTaxes now has a report that enables users to import their cryptocurrency capital gains directly into TurboTax Online. The combination of BitcoinTaxes and TurboTax Online will save even a casual trader a substantial amount of time in preparing their taxes. Now the IRS has opened e-filing, taxpayers who purchase the 2018 Premier and above versions of Intuit’s TurboTax Online will have access to a new Cryptocurrency section. With a few clicks, capital gains transactions can be uploaded directly into Form 1040 Schedule D.
BitcoinTaxes significantly reduces the work involved for traders to calculate their crypto taxes, especially when using multiple exchanges, such as Coinbase, Gemini, and Poloniex. The service provides the ability to import trading data directly from major exchanges into the user’s account. Capitals gains and income reports are calculated and available to download for use with tax software or sending to a user’s accountant. A free, limited version of BitcoinTaxes is available at https://bitcoin.tax/signup. 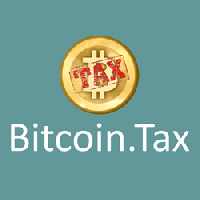 Paid versions of BitcoinTaxes start at .95 per tax year for up to 1,000 transactions. Getting started with BitcoinTaxes is easy for even non-technical users and new customers can follow the 7 Easy Steps Guide to use their account. 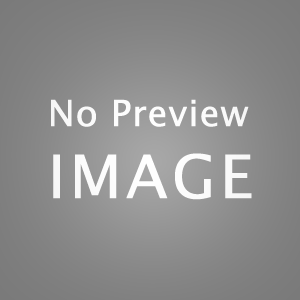 About CoinsTax, LLC – Launched in 2014, BitcoinTaxes was the original do-it-yourself tax calculation software for the active cryptocurrency trader. The system is proved as Software-as-a-Service (SaaS) and is a leader in the rapidly growing cryptocurrency tools segment of Fintech. For more information about the company, please go to the CoinsTax website at https://coins.tax. Certain directors of &E Corporation are under investigation over potential breaches of fiduciary duties. The investigation by a law firm for investors in NYSE: PCG stocks follows a lawsuit filed against PG&E over alleged securities laws violations. The investigation on behalf of current long term investors in NYSE: PCGstocks, concerns whether certain PG&E directors are liable in connection with the allegations made in that lawsuit. Almost every company now has a presence on social media. If your company doesn’t have one, you are clearly in an ever decreasing minority. At the same time, the power and reach of social media must be leveraged properly to get the best out of such engagements. It is a fact that while many companies use social technologies, just a few actually achieve the full potential benefit. To know about the full advantage of social technologies, you must know how to engage with the right audience in the right place. Social media engagement can be used to create more relevant and profitable relationships with customers. The reach of these services are immense and not having a presence on social media is akin to giving the race to your competitors on a platter. Social media integration can easily increase productivity according to online marketing experts. You can increase staff efficiency by as much as 25 per cent through social media integration. Social networks for staff members can make the workforce more dynamic and productive. It can also train them to work in an online social environment. Communicating through a social network with colleagues can provide the necessary experience for effective social media engagement and also helps you communicate better with customers. One of the least explored areas of social media integration is connecting with the network of suppliers, dealers and clients. Just a handful of companies have the technology to be entirely self-sufficient in communication systems. Social media can provide the ideal platform to communicate with other companies. It can help achieve high efficiency in business-to-business which goes way beyond with emails and calls. Social media integration such as Fyoosion can help establish cross-company private social networks. Social media integration can be brought to any site with built-in comments feature. It can be used to initiate product reviews or add comment streams, post blogs and lots more.